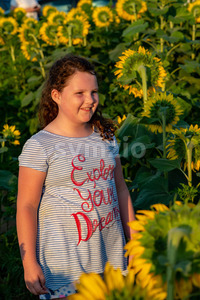 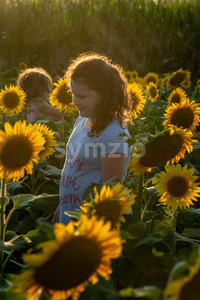 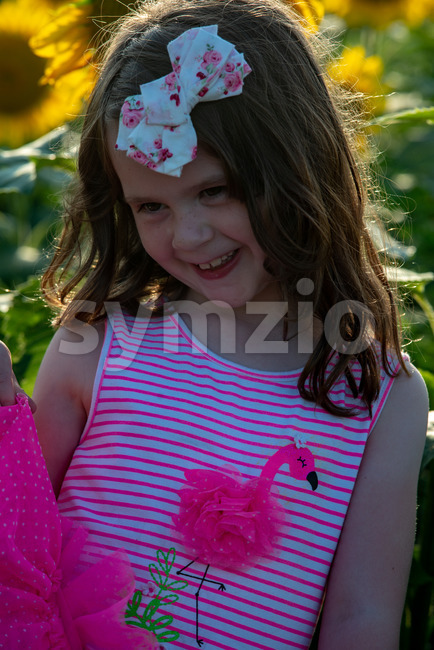 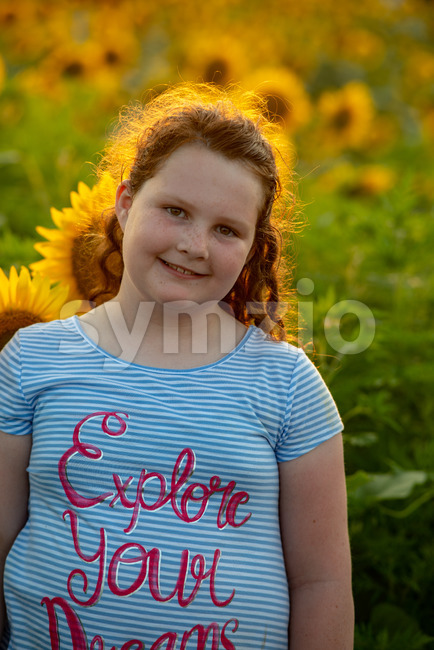 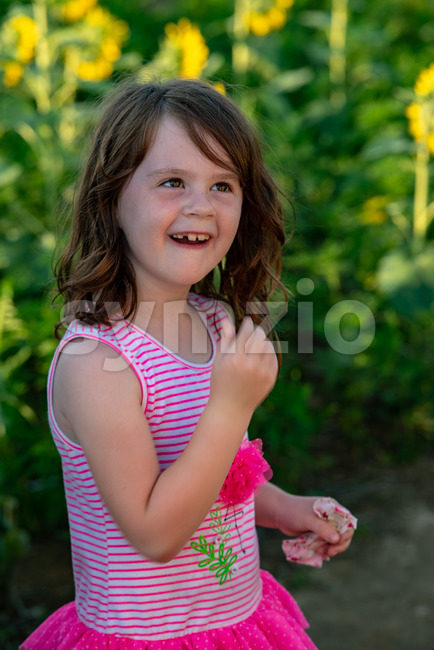 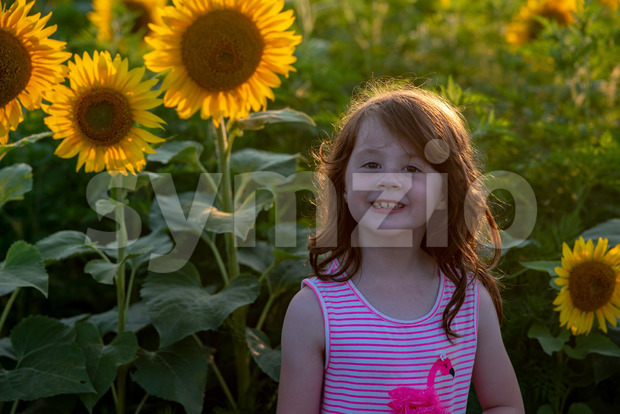 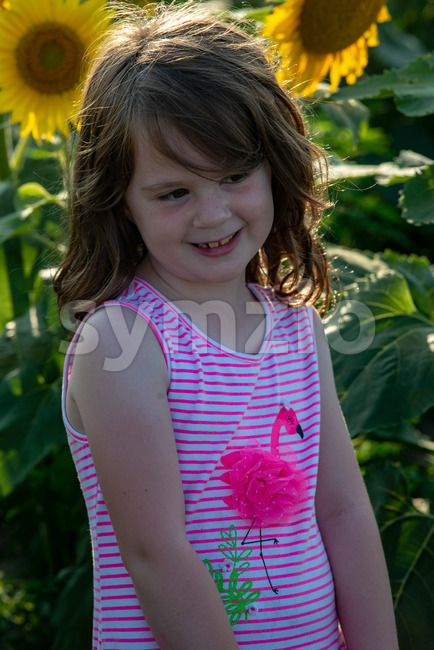 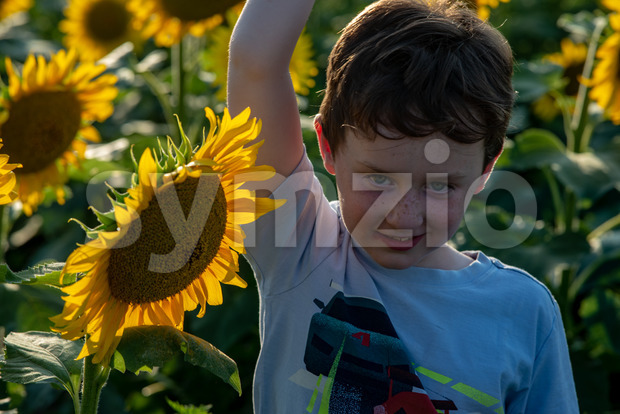 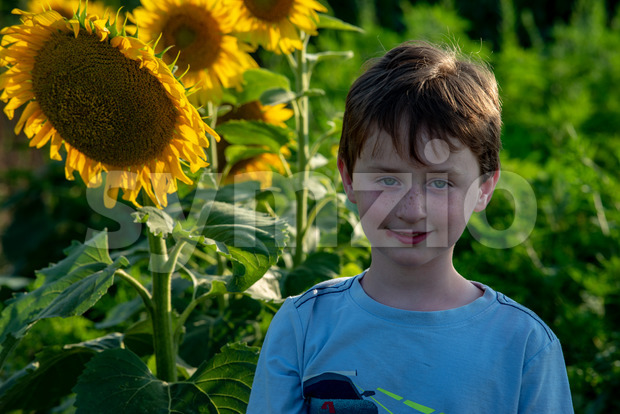 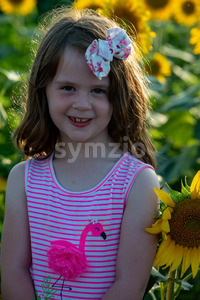 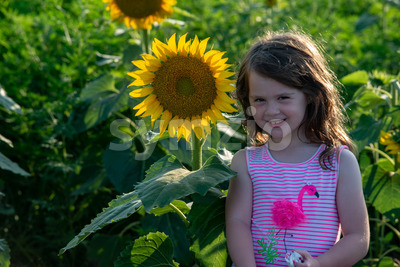 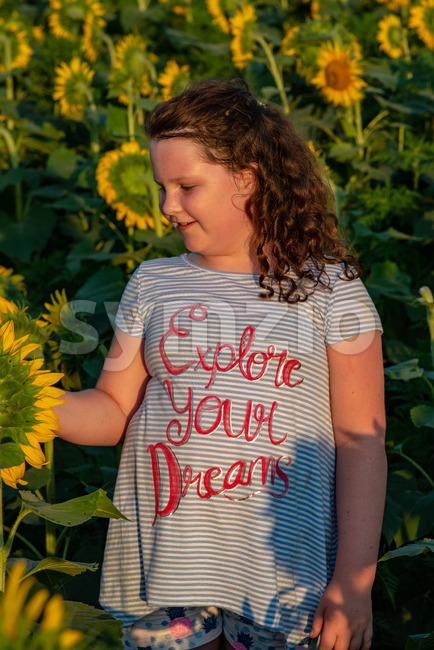 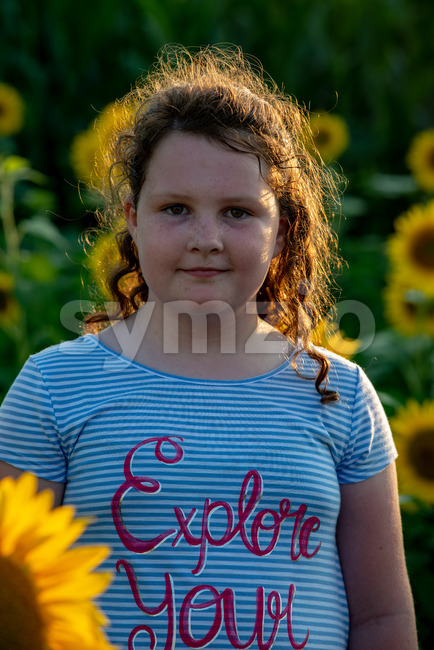 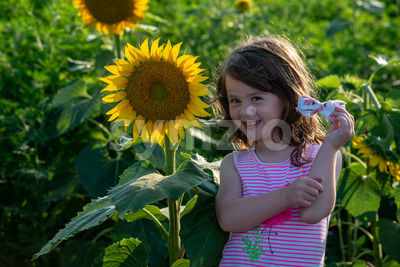 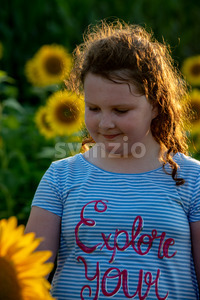 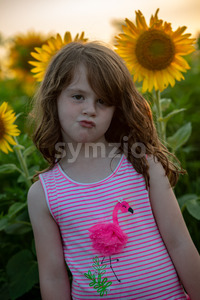 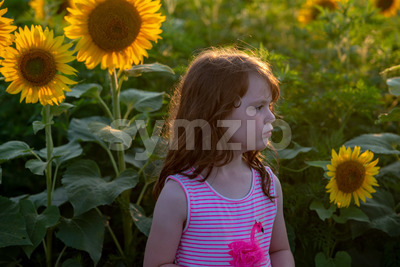 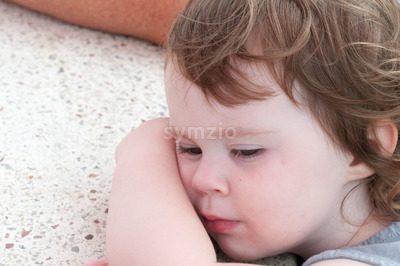 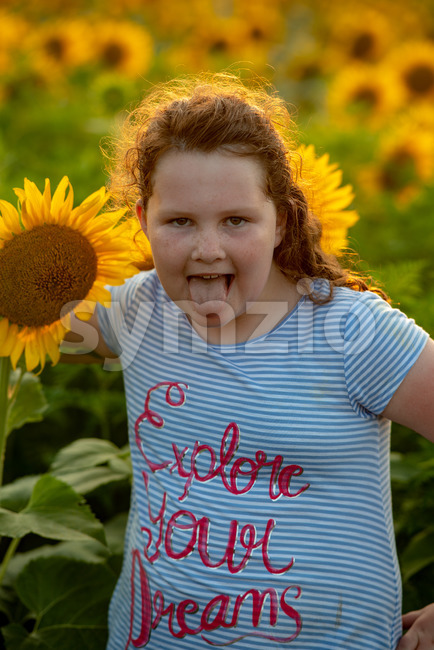 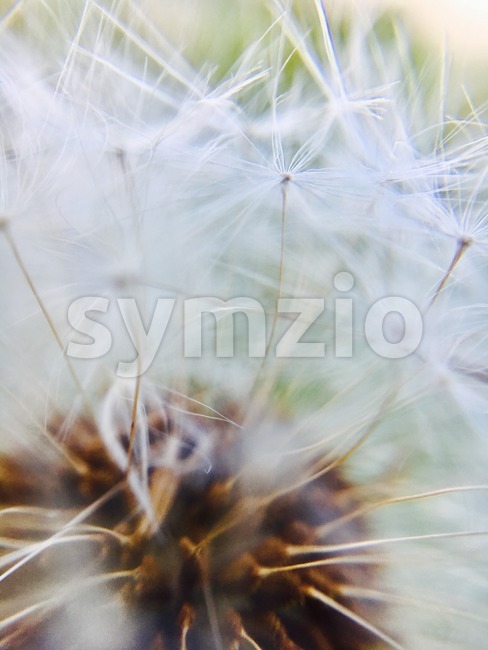 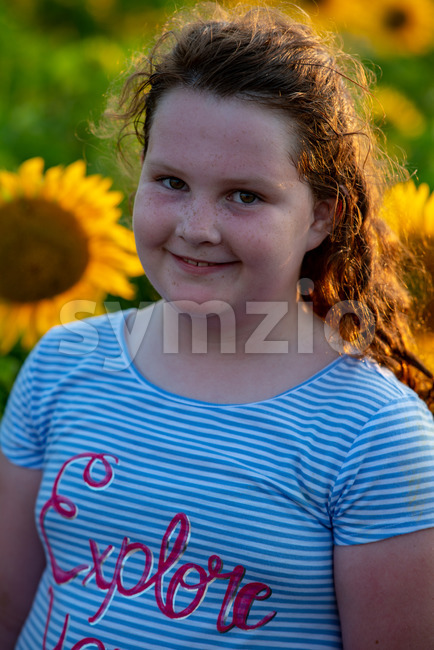 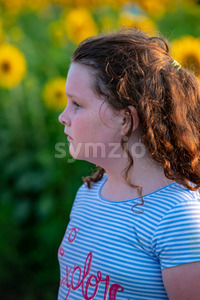 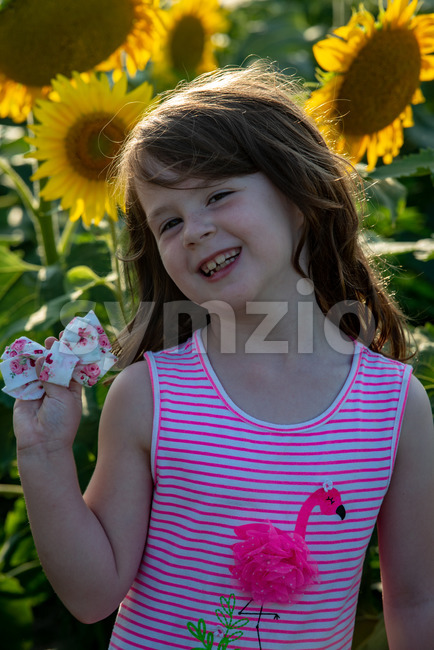 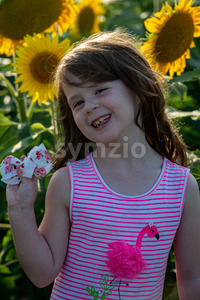 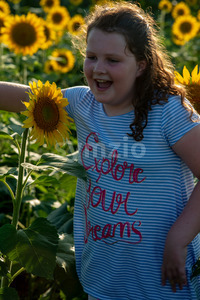 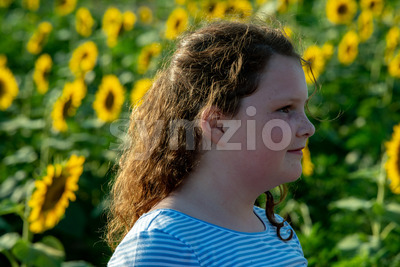 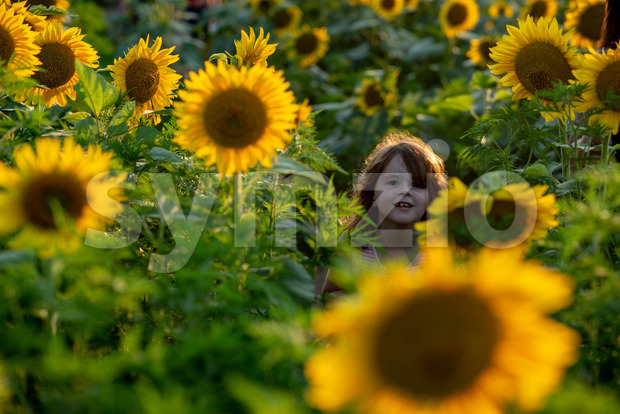 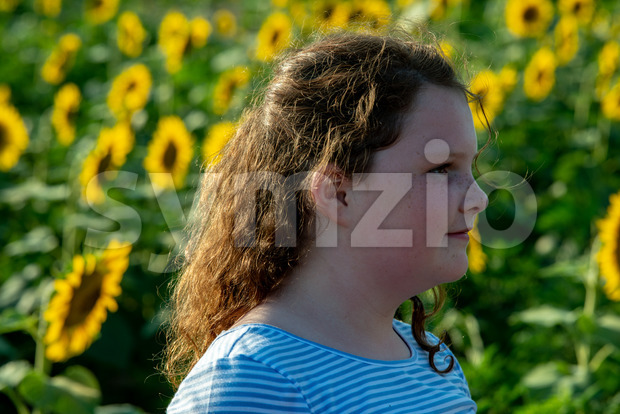 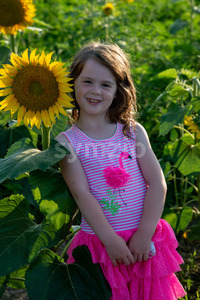 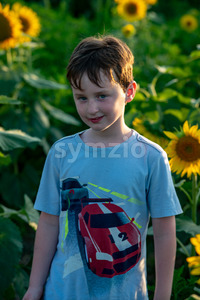 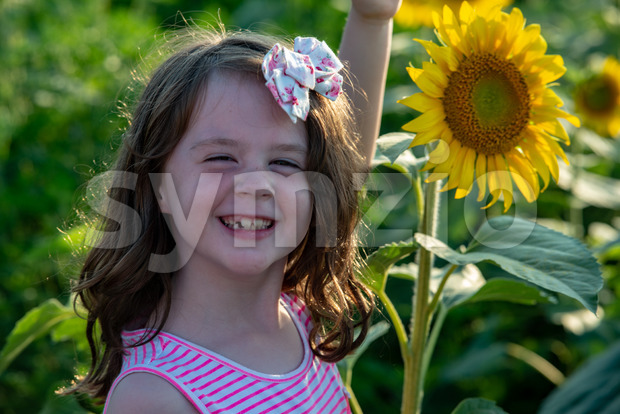 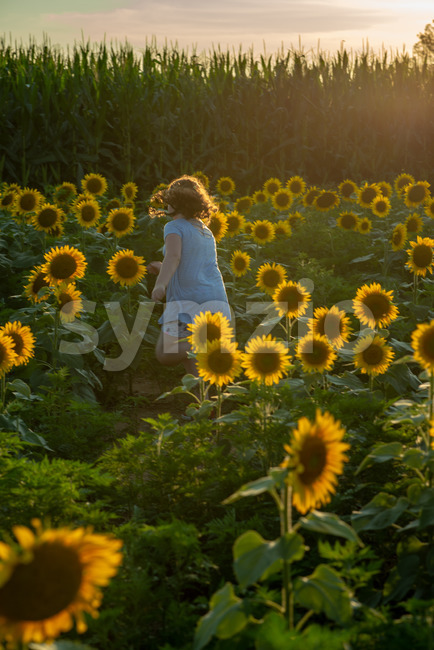 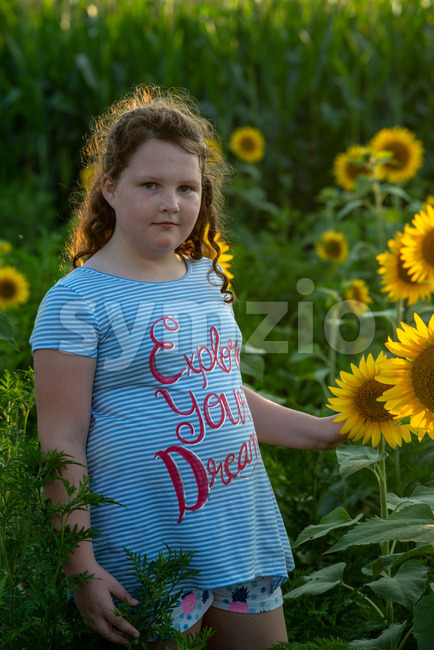 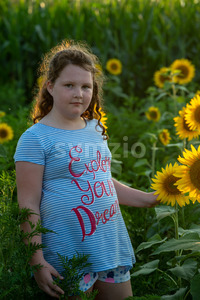 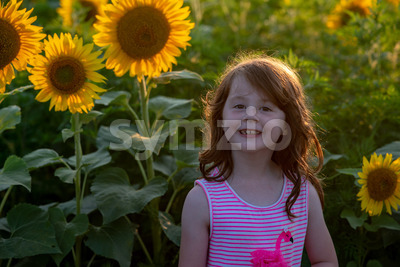 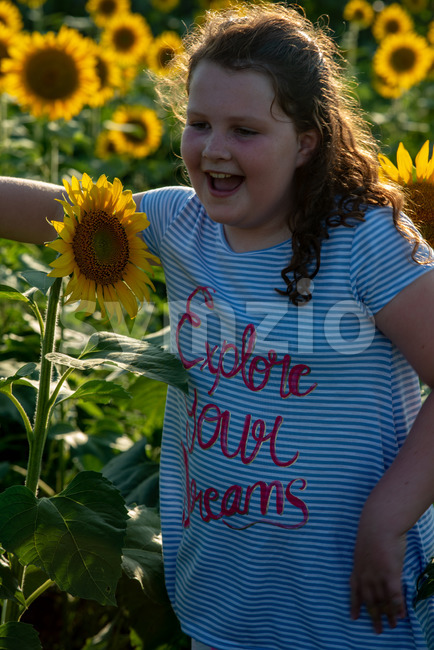 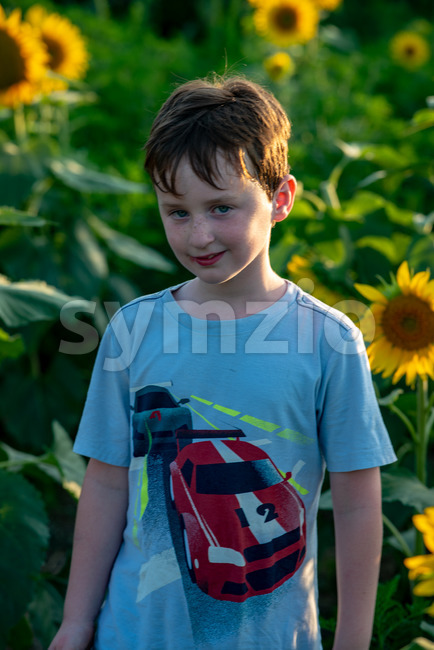 Beauty joyful young boy with sunflower enjoying nature and laughing on summer sunflower field. 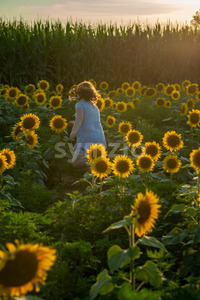 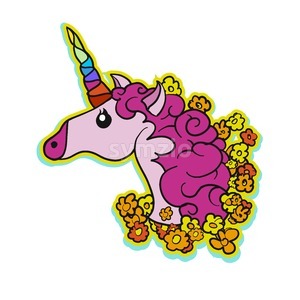 Sunflare, sunbeams, glow sun. 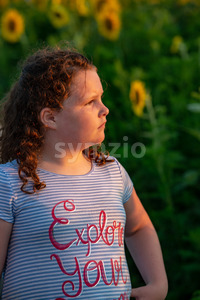 Backlit.